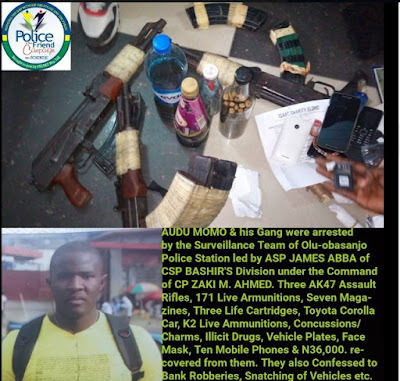 It is the end of the road as Policemen in Port Harcourt have arrested two notorious brothers who are armed robbers for terrorizing residents of Port Harcourt in Rivers State. They also Confessed to Bank Robberies, Snatching of Vehicles in Port Harcourt etc. The DPO Olu-obasanjo CSP Bashir and ASP James Abba who Led the Surveillance Team has transferred the case to F-SARS Rivers State.